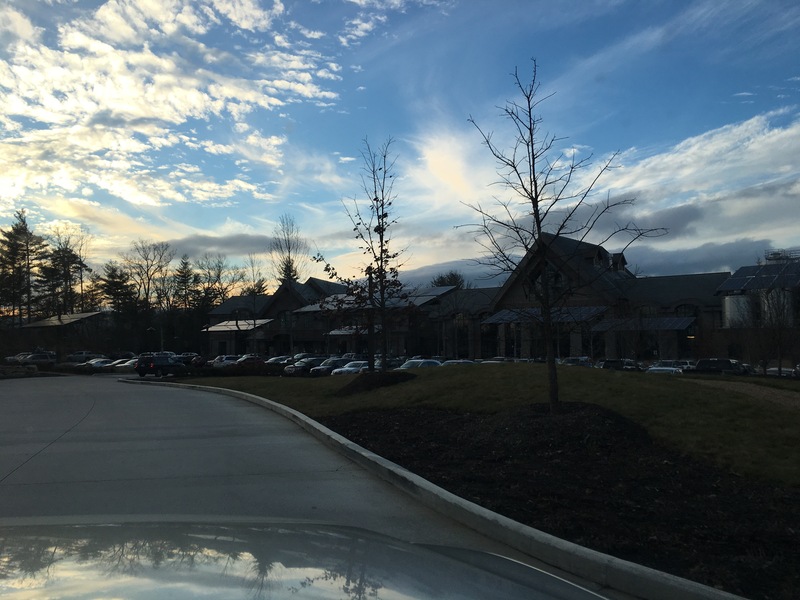 ← Wordless Wednesday: See the Coyote? I Went to the South, Y’all! You might have noticed I took a little break from blogging life for the past few months. It wasn’t planned, I just got so busy I haven’t had the drive or time to do much for The Beef Jar. 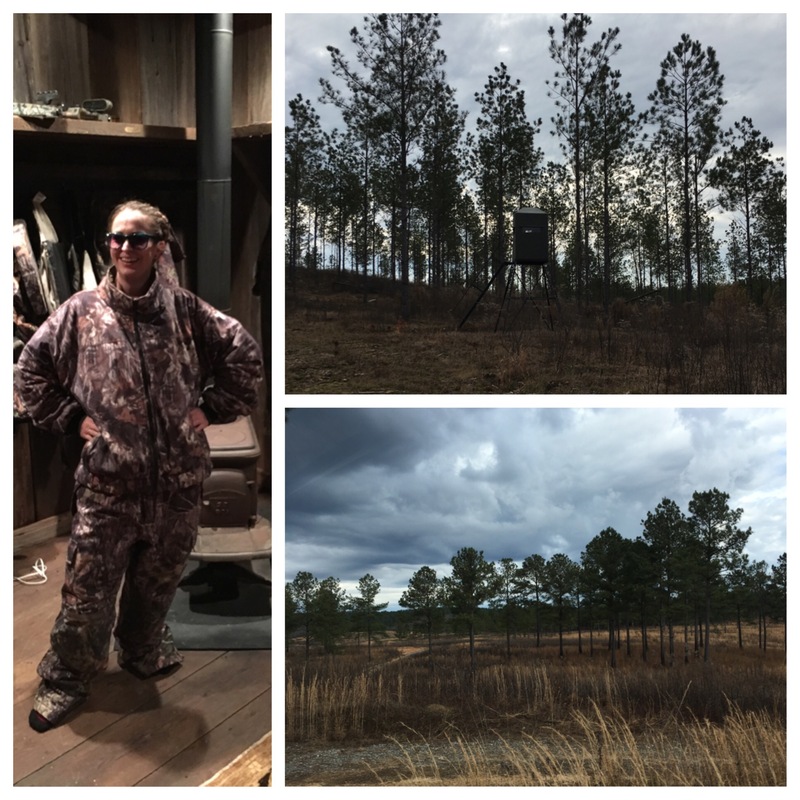 I’ve written some freelance articles, participated in an AgChat conference and the coolest thing is I went to the South. Twice! 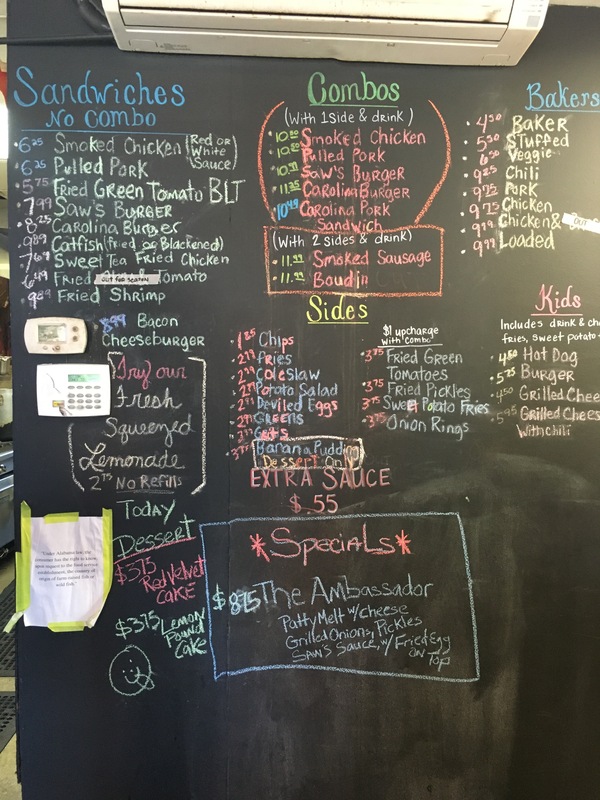 The menu from Saw’s. I weep at the memory. I haven’t traveled for a long time. In fact, the last time I took a vacation that was away from the ranch for more than two nights in a row was back in 2007. It was time to leave the ranch. The guy I was dating is from Alabama, so I was able to visit him. I went once in December and since I had such a good time, I went back in January! It was a wonderful experience both times. 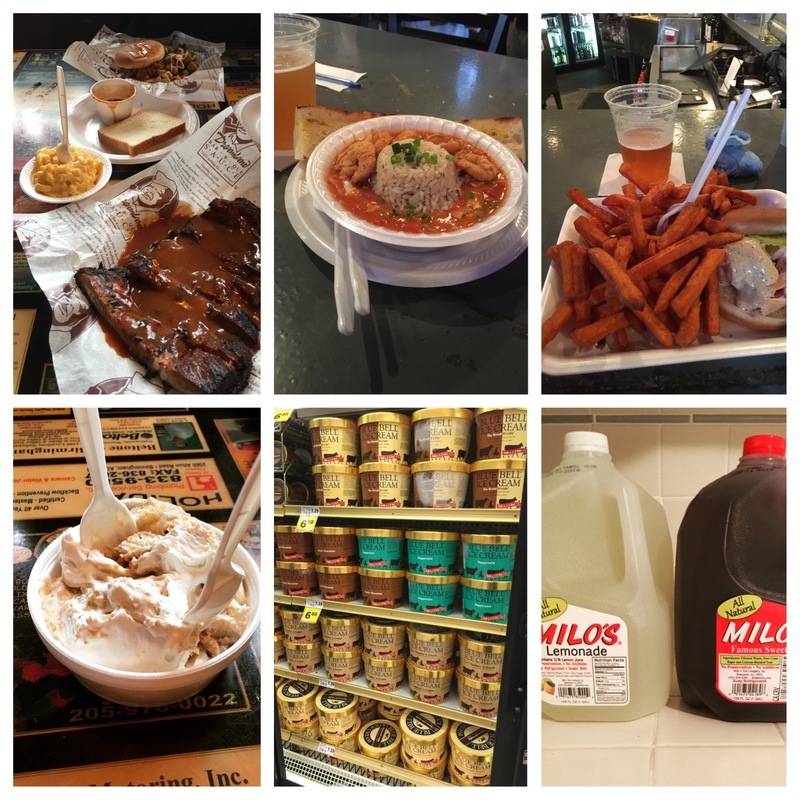 I’ve always been fascinated by southern food and culture so needless to say, I was in heaven. 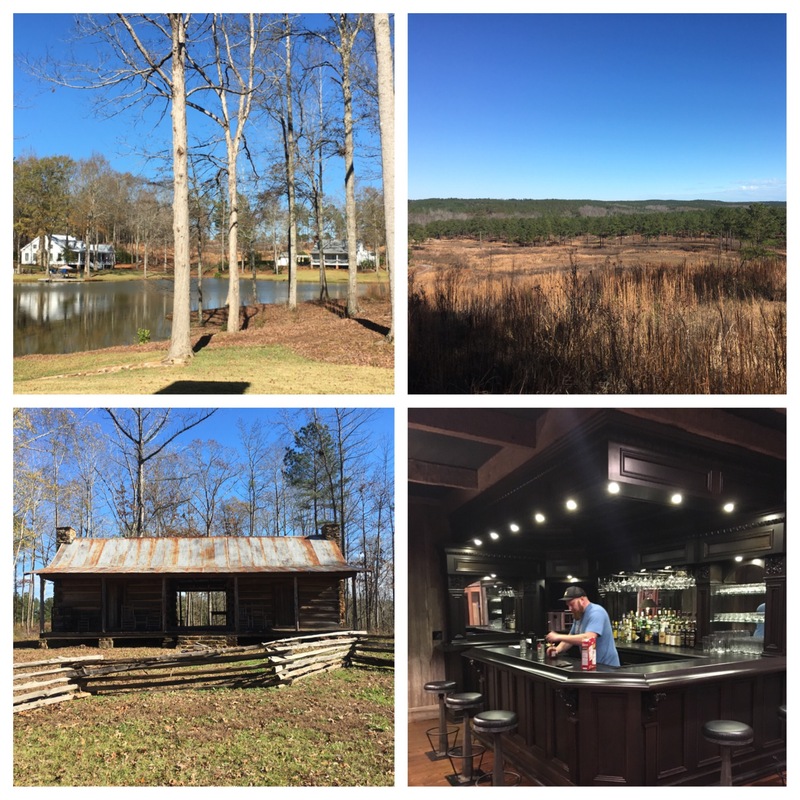 I got ushered around the Southeast by a local, eating amazing food and having the time of my life. 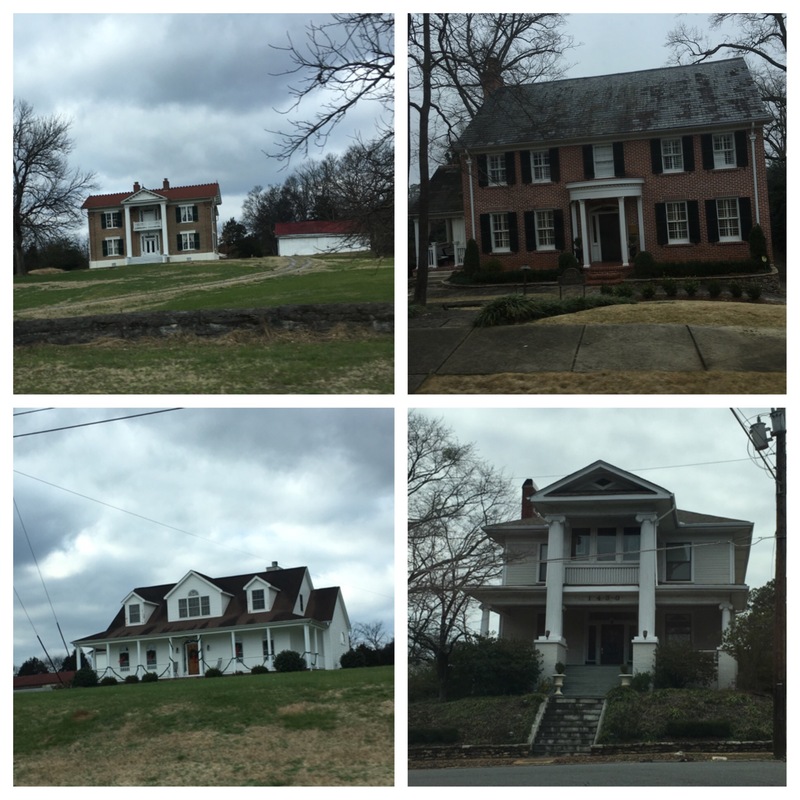 I got to see several southern places, including Nashville, Lynchburg, Atlanta, Birmingham, Asheville and Washington County, Tennessee. My ex-boyfriend’s family has a plantation in Coosa County, Alabama. That was home base during my time down there. It was an amazing farm with totally different agriculture from what I was used to. I got to spend several days on their farm learning about local agriculture, history and again, food. 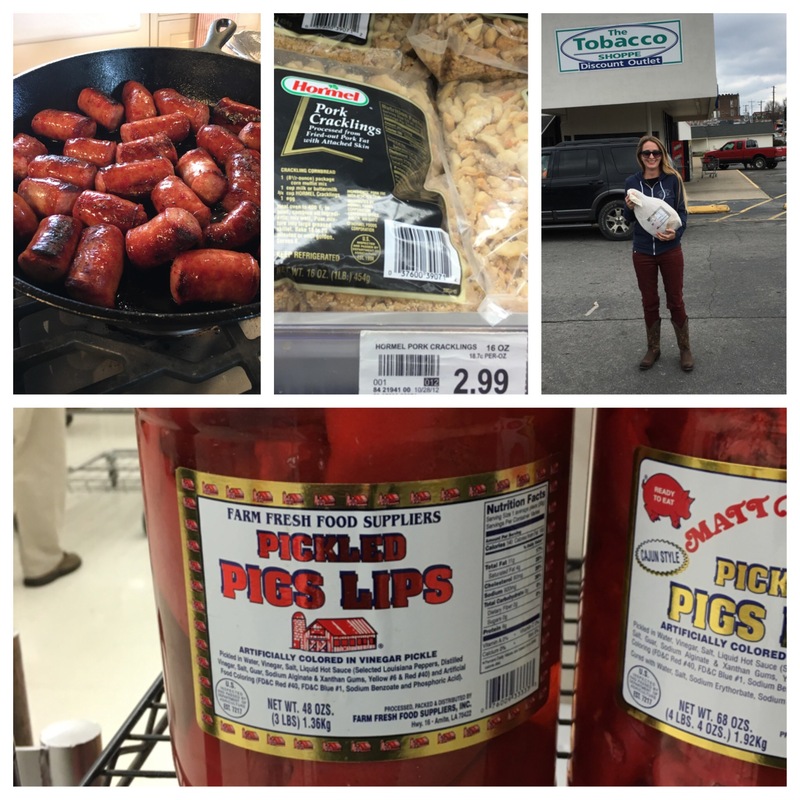 Conecuh sausages are amazing! Try them! Until this point in my life, my knowledge of southern things comes from Paula Deen, Jill Conner Browne, Alton Brown, and other various southern authors. Oh and Reese Witherspoon movies. I imagined magnolia trees, dripping with Spanish moss, acres and acres of cotton, tobacco and sweet potatoes and BBQ everywhere. I’m sure it’s like when people think of California and think we are just beaches and movie stars. 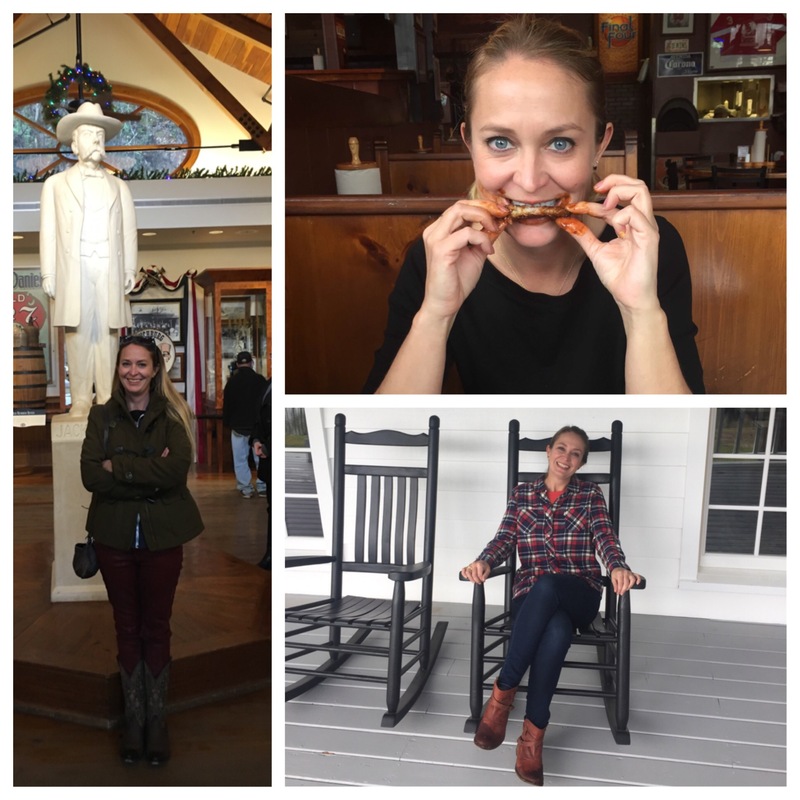 The South was so much more varied and different than what I expected (I mean, except for the BBQ part, and that was super cool)! I was amazed at all the pine trees in Alabama. For some reason I had no clue Alabama had so many pine trees! I was expecting it to be far more open farmland and magnolias. I did see a cotton field and lots of cow/calf operations. However, one thing I noticed that really bummed me out was it seemed like there was a lot of abandoned farms. It kinda made me want to buy one and move to the South. I went white tail buck deer hunting. It was so different from hunting here! Since I did get to see several different areas of the southeast, that means I also got to see some of the Smoky Mountains. They were beautiful. I’ve seen enough photos and movies about them that I knew what to expect, and they did not disappoint. I want to go back and take pictures and poke around – I might even consider camping there. Maybe. One of the happiest moments of my life happened in Nashville. 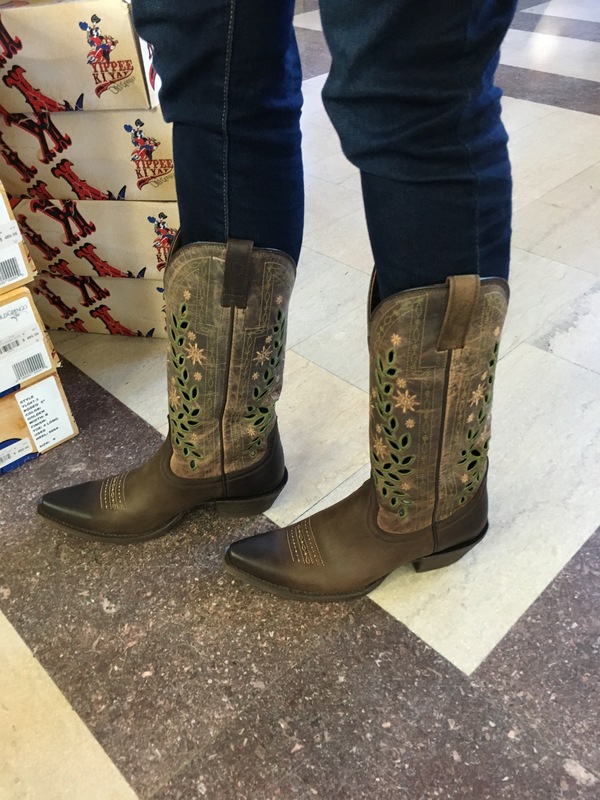 I was in a boot store on the strip. The smell of new leather and BBQ was in the air. I had a slight Pabst beer buzz. I had just seen an amazing country band. I was eating chocolate because, of course, there was an old fashioned candy store next to the band and bar. I actually had to stop and ask if that was real life. The Country Music Hall of Fame was also a major highlight! So many neat costumes, cars and instruments! I think my favorite though were the rolling green hills of Tennessee. The farms were all gorgeous, stuff of dreams. I had serious agriculture envy the whole time I was there. I was seriously looking up the farms and ranches I saw for sale, because I really could live there and happy raise pigs and cows. I was also shocked at the water. The rivers and lakes seemed to be everywhere and they were huge! Coming from drought stricken Nor Cal, it was almost overwhelming! The cemeteries were a trip to me. They were everywhere. And the were old. It was a good reminder just how “new” California is. Many families had their “own” graveyard on their family farms. My goal when we were in Washington County was to find my family graveyard. I was so close, but that is for another post. 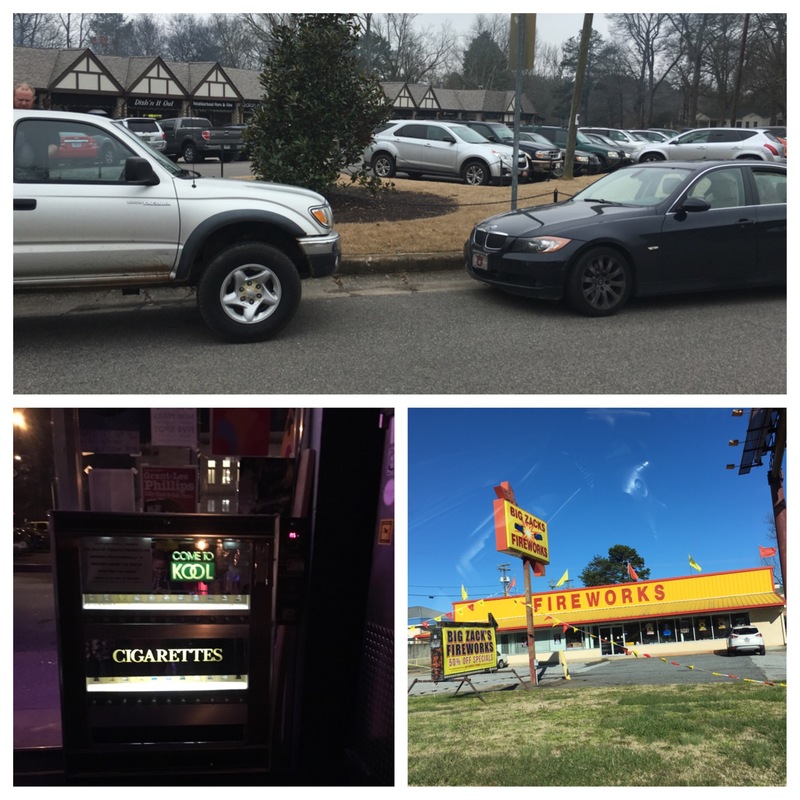 I was amazed that they could park against traffic, still had cigarette machines, and awesome fire works! Birmingham was awesome. It was there where I had real BBQ for the first time. I got to go to Good People and Avondale Brewing. Just getting to walk down the streets and see some of the amazing old homes was enough to make me really happy. 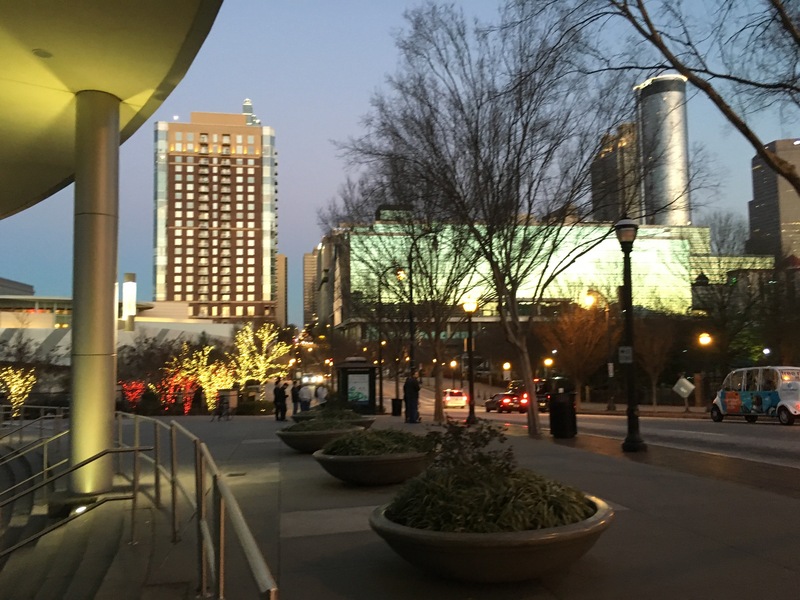 I almost had a come-apart in Atlanta when I finally saw a real alligator and an albino one at that! One of my major goals while in the South was to see an alligator. I’d been to Florida in September, and was sorely disappointed I didn’t get to see one then. The alligator I did see was at the Atlanta aquarium. It was amazing, really. It breathtaking. I missed the Coke experience by a few minutes (it closed), but I’d like to see that at some point. Asheville. I understand why the second Sierra Nevada is there. It has a Chico vibe to it. I made the treck to the second Sierra Nevada, like all Chico natives should. It was a glorious building and the food was fabulous. We went out on the town after Sierra Nevada and again I had a ball! It was freezing and snowed while I was there, but the amazing music and people made the cold bearable. I’d love to go back to Asheville and spend a few days, it deserves it. Let’s talk about the food now. Southern food is better. There I said it. I can simply never go back to how I was before. I actually ate skin from fried chicken and loved it. Sweet tea is nectar from the gods, and BBQ is mana. 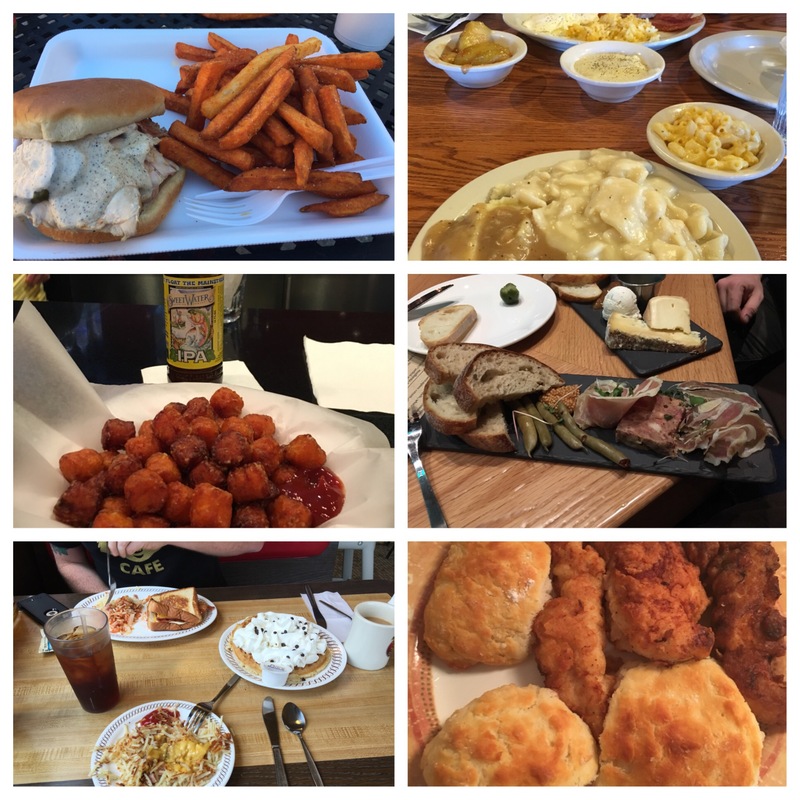 I actually tried to experience as much regional food as I could. Blue Bell Ice Cream? Check. Duke’s mayonnaise? Check. Boiled peanuts? So good. White Lily Flour? Took 10 pounds home. 30 pound Country Ham? It was in my carry-on. Okra, I love it now. Fried pickles? I have a recipe. White BBQ sauce? White yum. (if you send me Duke’s or Lily White, I’ll send you jam, jelly, pickles or California olive oil). I did my best to bring as much home as I could. I’ve experienced SAW’S, Dreamland BBQ and Jim and Nick’s. BBQ is not a joke down there. It changed me. Southern’s do magic with a grill and some smoke. Magic, I tell you. If you haven’t experienced real southern BBQ go ahead and just book yourself a flight and go find some. Do it. I’ve been working very hard on recreating many of the dishes I had while in the South, I’m getting good, but it’s just not the same. My first time at Waffle House. I was very, very, excited. Waffle House. Oh my Lawd, I did not know. I mean, I’d heard some great things from Anthony Bourdain. But Waffle House is something you must experience to understand completely. Drunk college kids in California do not know how amazing Waffle House is and what they are missing. 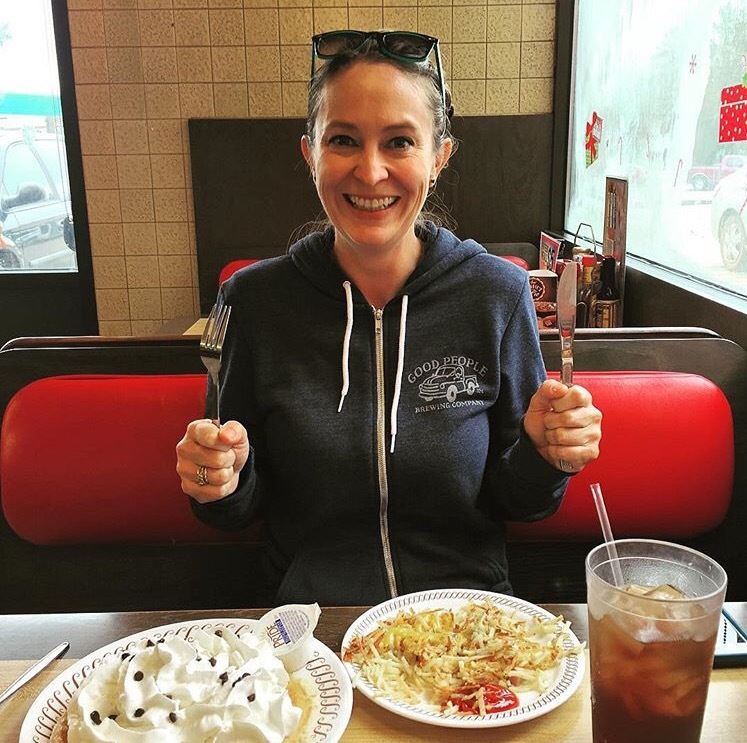 I was urged to try and have a drunk Waffle House experience, I did, in Birmingham, and was again one of the more glorious experiences of my life. Drunk southerner’s, amazing waffles and smothered hash browns – it should be a reality show. 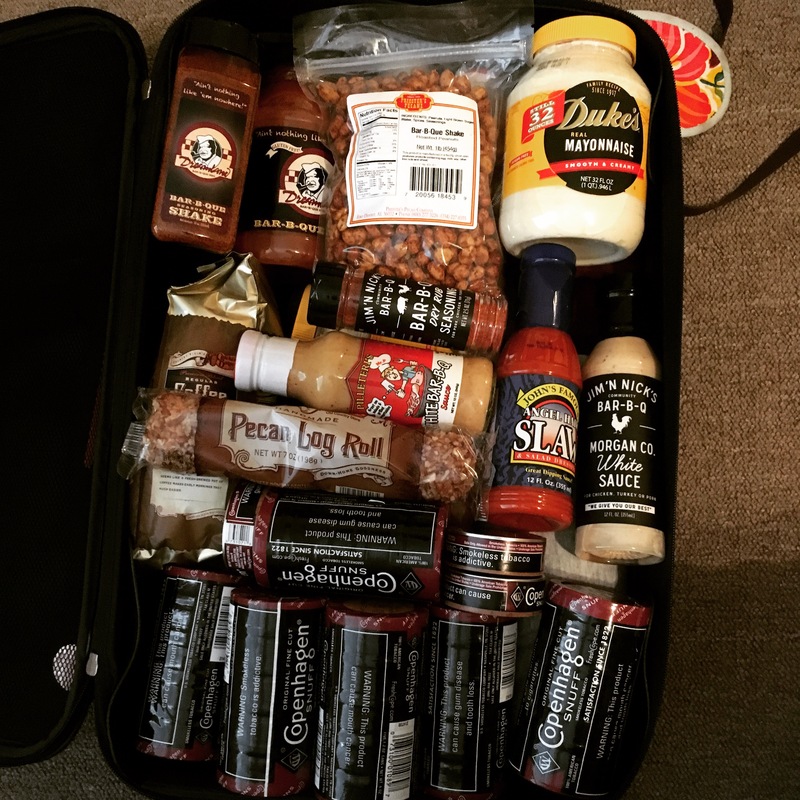 Cracker Barrel – food, candy, clothes, games, all the things. Cracker Barrel is like the mecca of the South. Go there, rock in a rocking chair, eat some chicken and dumplings, and pay your respects. Southerner’s are nice. They are friendly. Pleasantries are exchanged at every opportunity. They buy you a lot of drinks when they hear you are from California. They have manners. Door’s are held open, ‘bless you’ said after a sneezes, polite chat is made. I loved it. I always embarrassed my friends and family because I will randomly start conversations with people. In the South, it felt like you were rude if you didn’t. I’m pretty sure I belong there. I never really harbored the idea of ever living anywhere but on the Ranch, here in California (this is God’s country after all) but after seeing the southeast, I daydream about owning a little farm in Tennessee. Or Georgia, or anywhere. Seriously, The South is America’s travel secret. I just renewed my passport and was starting to plan another trip back to Europe. But I’ve decided I’d rather spend my money and time in the South. Learn more my own history and culture. So I’ve started planning my trip back this winter. A couple of my girlfriends are looking into going back in December or January. I’m in my early stages of planning but I’m thinking maybe about flying into Nashville, doing a bourbon tour, going up to Bristol, Asheville and leaving out of Atlanta. However, I know I have lots of Southern friends, so I am open to suggestions. Is there something I need to experience? Tell me! Give me advice! But in the meantime if you an agricultural organization and you need a speaker, panelist or moderator, let me know. I’ll waive my fee, just pay for my flight and a bed and point me to the nearest BBQ joint when we are done. 5 Responses to I Went to the South, Y’all! If you come through Asheville, NC you will have to come and visit all of the waterfalls in DuPont State Park! They are beautiful and worth the visit. If you need a tour guide for the western part of NC I will be up for playing tour guide!! Sounds like there may be a move in the future. Glad you enjoyed your visit in the south. By the way, we have lots of alligators in my part of Florida.